Ajouter au panier (1447)Vous avez déjà acheté ce produit d'achat, bienvenue le prochain achat! disappointed with colour contrast, it was lighter in colour than appeared in photos. seems durable, but smaller. no inside pockets. NC-Staff: Dear Sarahla4, thank you for your order and we are sorry that the color of the item is not within your expectation. We have clear pictures showing the color of the item on the product page. However, due to monitor, light settings and conditions, the difference between the precise color of the product and the color presented in picture can not be avoided as well as beyond our control. We hope your understanding. About the size of the product, We have detailed descriptions and clear picture with measurements on the product page. Please kindly have a check and allow 1-2 cm inaccuracy due to manual measuring. If you need further help for the color or size of the product, please send us some photos of the item as well as SKU sticker and the shipping label via these links: For personal computer: https://www.newchic.com/Contact-Us-hc10.html For mobile: https://pwa.newchic.com/customer-service We will do the best to help you. Good quality product but smaller than I expected (my fault I guess), also disappointing that strap is not long enough for shoulder. it had a strange,in the way, small zip which I cut out. NC-Staff: Dear sir/madam, thank you for your order. We have detailed description about the size of the product including the length of the handle as well as clear pictures showing the details of the product. If the product you have received does not meet the pictures or the description on the product page or the item has any quality or size problem, please send us some photos of the item as well as SKU sticker and the shipping label via these link: For personal computer:https://www.newchic.com/Contact-Us-hc10.html For mobile:https://pwa.newchic.com/customer-service We will do the best to help you. Cute but very small. Material feels a bit cheap. Took months and months to arrive. NC-Staff: Here is the size of this bag. Length:40cm(15.7'') Width:14cm(5.5'') Height:27cm(10.6'') Handle:20cm(7.87'') If you have any questions, please feel free to contact us. https://www.newchic.com/Contact-Us-hc10.html We will do the best to help you. 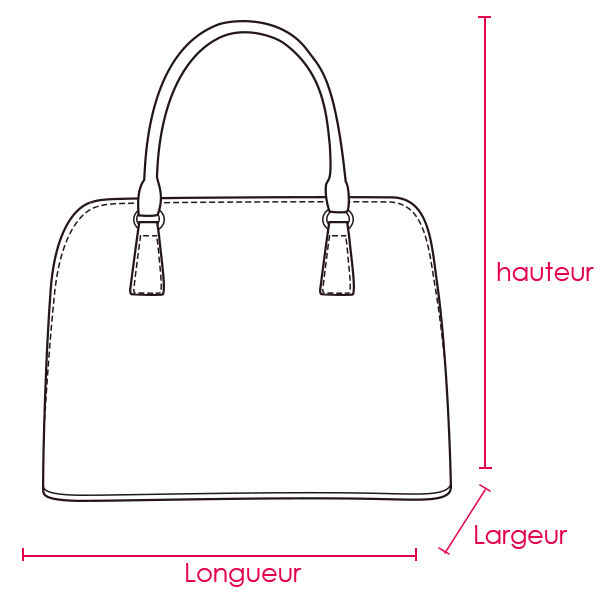 NC-Staff: Dear sir/madam, Here is the size of this bag. Length:40cm(15.7'') Width:14cm(5.5'') Height:27cm(10.6'') Handle:20cm(7.87'') If you have any questions, please feel free to contact us. https://www.newchic.com/Contact-Us-hc10.html We will do the best to help you.